In todays’s message, one of our elders, Colin MacNeill, spoke on the subject of “Creation and Community.” Reflecting on Paul’s rebuttal to the perceived spiritual elitism of Gnosticism contained in his letter to the Collosians, Colin explored the theme of how Christ holds all things together, and how this affects our relationships, not only with God but in our calling to a church community. 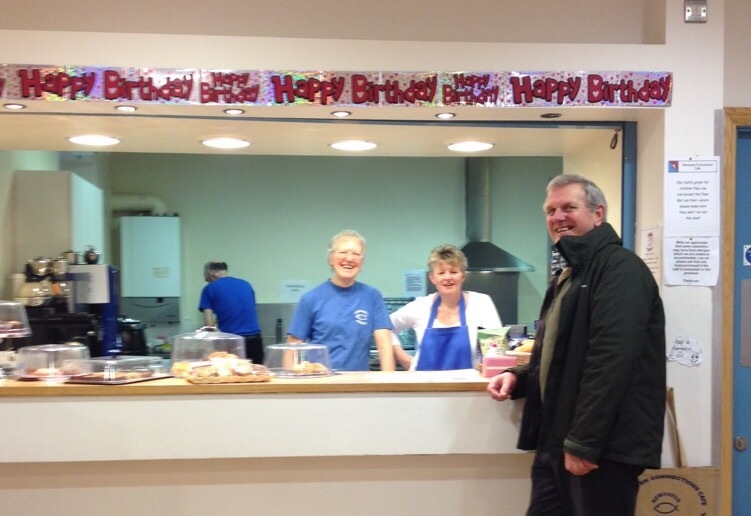 This week we saw in the eighth birthday of Newhaven Connections Cafe. The cafe is an important part of Newhaven Church’s outreach to the community and we hope that it has served this purpose well. There have been a number of developments and changes since we opened eight years ago, and the success of the cafe is underpinned by those in the community who visit, and the staff. We would like to thank all of those who have come to the cafe over the years, and all of the staff and volunteers who have made it a success. Further information on the cafe, including opening hours is available in our cafe section. On Saturday morning between 10-12 noon, the Boy’s Brigade will be holding their annual coffee morning in Newhaven Church. There will be home baking, a plant sale, a Wii sports competition and free tea, coffee and scones. Please come along for the BB’s annual fundraiser. Following the BB coffee morning, the annual Newhaven Gala Day will commence at 12.30pm and continue through to 3.30pm at Newhaven Harbour/Victoria Primary School. Please feel free to come along and join in this celebration of our community in Newhaven. A celebration of Newhaven past and present. Do you sing? Would you like to sing? Why not join in the Newhaven Fishing Folk Choir. Rehearsals at Victoria Primary School every Tuesday 7-9pm starting 25th March. With support from an experienced singer, all ages and abilities from novice to professional are welcome.